Preorders for the new Pixelbook lineup start today, before the product launches on Oct. 31. The Pixelbook starts at $999, while the Pen stylus is an extra $99. Additional models of Pixelbook with more horsepower and storage will also be available to flesh out the lineup. 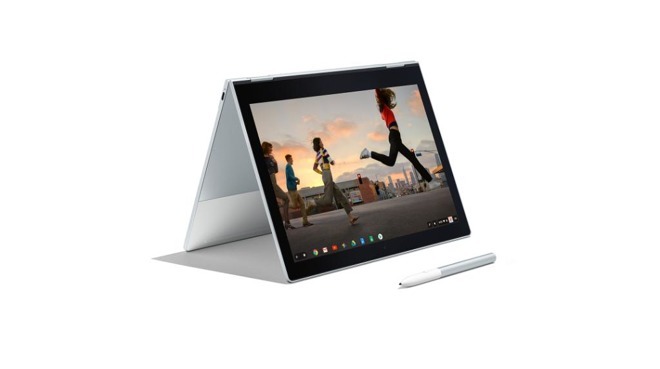 At $999, the 12.3-inch Pixelbook undercuts Apple's 12-inch MacBook but comes in higher than the iPad Pro lineup, starting at $649 for the 10.5-inch model, or $799 for 12.9 inches. 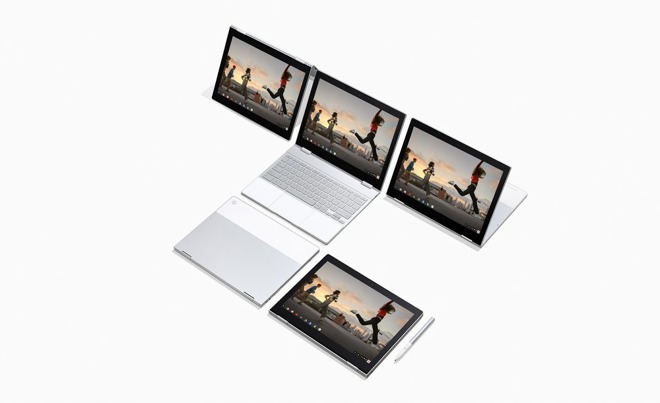 The 2-in-1 Google Pixelbook can be folded to use in tablet-only mode with the keyboard on the back. The company says it has a 10-hour battery life, and quick-charge capabilities give it 2 hours of uptime with just a 15-minute charge. It's the thinnest notebook made by Google at just 10-millimeters thick, and one kilogram in weight. Google Pixel features built-in support for Google Assistant, making it the first notebook supporting the company's voice-driven personal assistant.